Bilateral energy cooperation got a boost with a pact between ONGC and JSFC Sistema during Medvedev's visit to India last year. One of the outcomes of President Dmitry Medvedev’s December visit to India was a formal cooperation agreement in the oil industry. JSFC Sistema, a major Russian holding company and owner of the Indian mobile service provider MTS, has already taken the document to the implementation stage. The Russian company and Oil and Natural Gas Corporation Ltd. (ONGC) have signed a framework cooperation agreement providing for pooling oil assets. JSFC Sistema is prepared to pool its shares in Bashneft and Russneft with those of ONGC’s subsidiary Imperial Energy. The Indian state oil company acquired Imperial Energy in 2008. Currently, it is a major independent producer in Western Siberia (the Tomsk region). The parties have agreed to outline the transaction terms, which have not yet been released, by the summer of this year; ONGC is interested in Bashneft’s projects. In particular, this refers to the Trebs and Titov oil field in the Nenets District of northern Russia. The field reserves are estimated at 140-200m tonnes of oil (about 1.4 billion barrels). According to expert analysis, peak production could reach 10m tonnes per annum. ONGC used its subsidiary Nord Imperial to bid in the field development tender. The Russian regulatory authority, however, rejected the bid. Eventually, Bashneft won the right to develop the strategic field. The agreement made with JSFC Sistema proves that India is not intending to give up the opportunity of developing this major Russian oil field. “At the date of the transaction, Imperial Energy, which at that point had 920m barrels of proven and provable oil reserves, was going to try and achieve 25,000 b/d by the end of 2008 and 35,000 b/d in 2009,” explained Yevgenia Dyshlyuk, an analyst at TKB Capital. 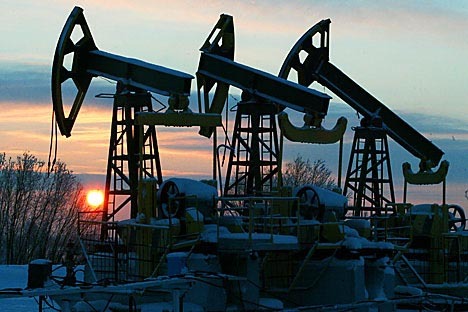 “Immediately after the transaction was completed, however, the viability of the project went downhill, as Imperial Energy was crippled by the world economic meltdown and plummeting oil prices.” Dyshlyuk said that by the end of 2009, the company was only producing 16,000 b/d; Imperial Energy was planning to achieve 25,000 b/d by the end of 2010. “Thanks to JSFC Sistema’s oil assets, India will finally be able to identify smart ways to use Imperial Energy, which turned into useless baggage in the wake of the recession: not good enough to keep carrying around but not quite bad enough to dump. Besides, while India’s own ‘black gold’ reserves are rather negligible, the economy is booming and ‘demanding’ fuel”, said Dyshlyuk. Sistema is known in the market as a portfolio investor, which is why selling an interest in Bashneft appears quite logical, believes VTB Capital’s Lev Snykov. But Uralsib’s Aleksei Kokin notes, “the corporation is free to operate at its discretion and that it is considering various scenarios”. The analyst believes that parties may opt for a joint venture where Sistema would have the control. The Russian side also benefits from this cooperation. Thanks to the Indian company, Bashneft will be able to mitigate its operational and financial risks on the Nenets District field. As reported earlier by Bashneft director David Yakobashvili, developing the field may require $5–6 billion in investment. But it would be worth it, as the field reserves would provide enough oil for Bashneft’s own refineries. Besides, cooperation with Imperial Energy will encourage Bashneft to shift its focus from production to processing, which is a profitable business. In addition to that, ONGC will give Bashneft access to the international market, where it is not currently represented. ONGC has been for a long time now showing interest in acquiring part of Bashneft, which has been majority owned by JSFC Sistema since 2009. Just over a year ago the parties signed a memorandum of understanding providing for joint investment into oil projects. The Indian side has repeatedly manifested its interest towards Russian oil assets. Recently, the business media spread the word about ONGC considering an acquisition of shares in Rosneft. Russia’s largest oil company, which is on the 2011–2013 privatisation list, has recently agreed to an asset swap with British Petroleum. Therefore, it is not improbable that East Indians will be among the shareholders.